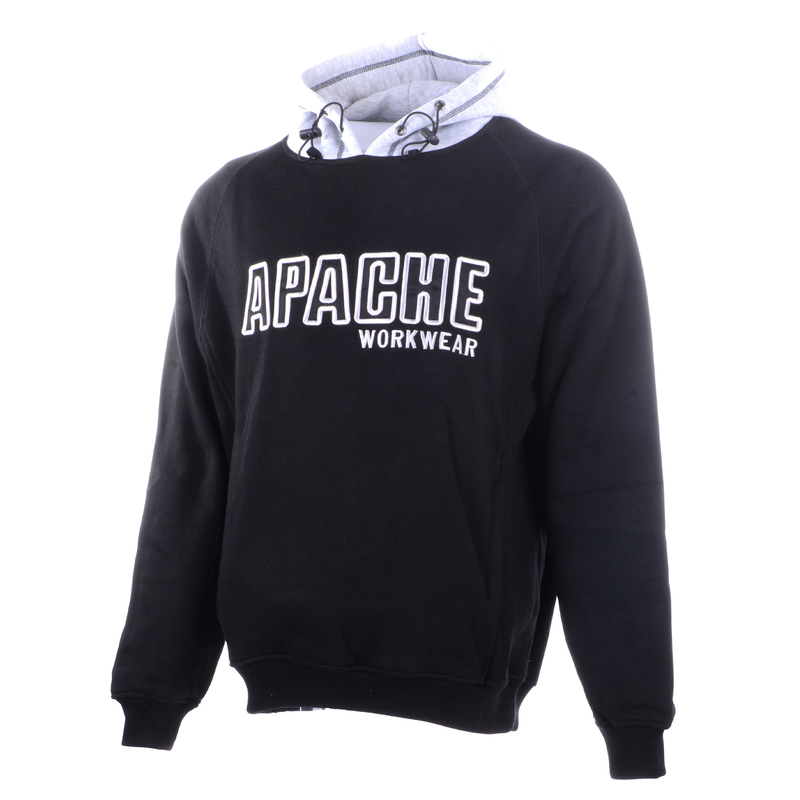 Warm heavyweight polycotton fleece sweatshirt with adjustable drawstring hood. 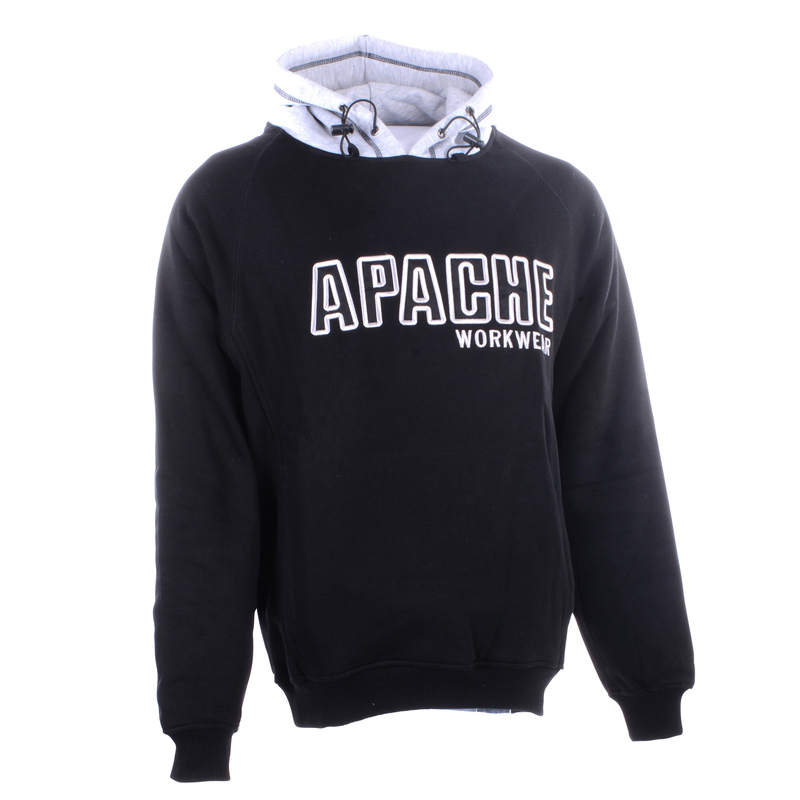 This sweatshirt is ideal for those dry, cooler days and features elastic cuffs and waist. 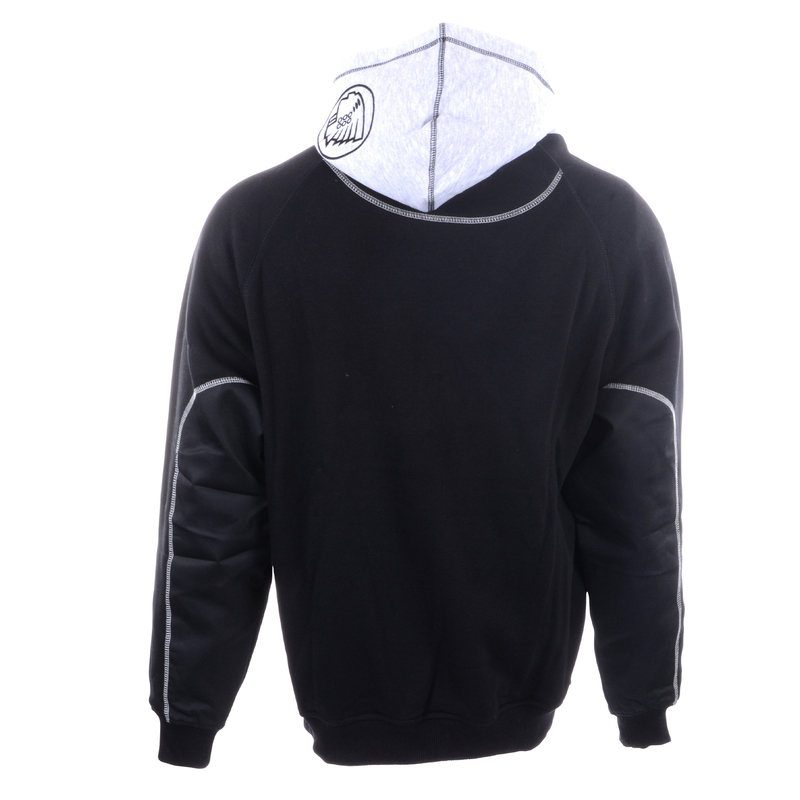 The reinforced elbow patches give greater durability and the front kangaroo pocket makes for good practically. 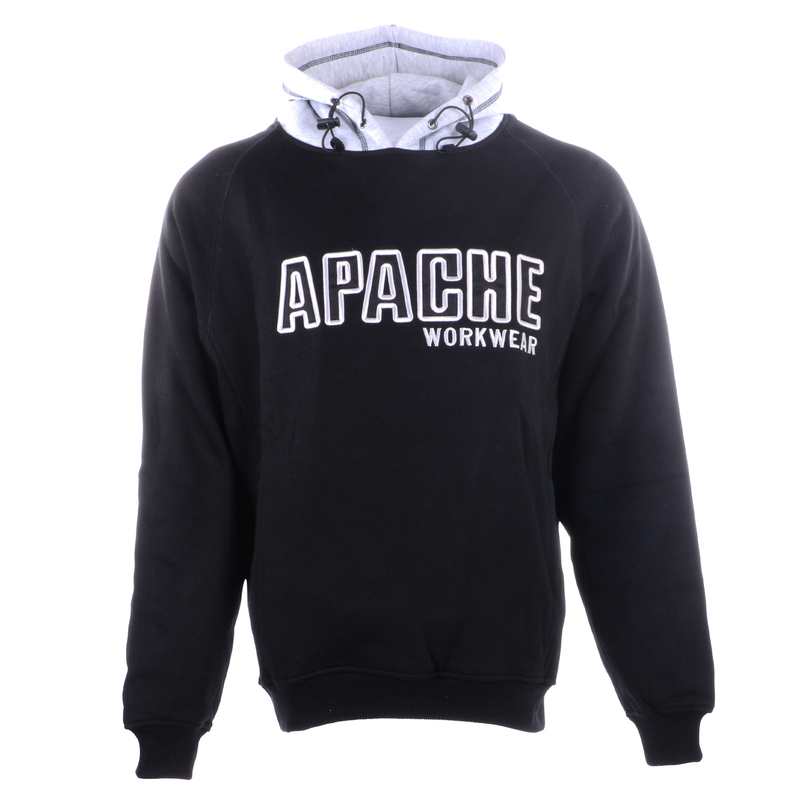 Printed Apache Workwear logo to chest. "Great product. 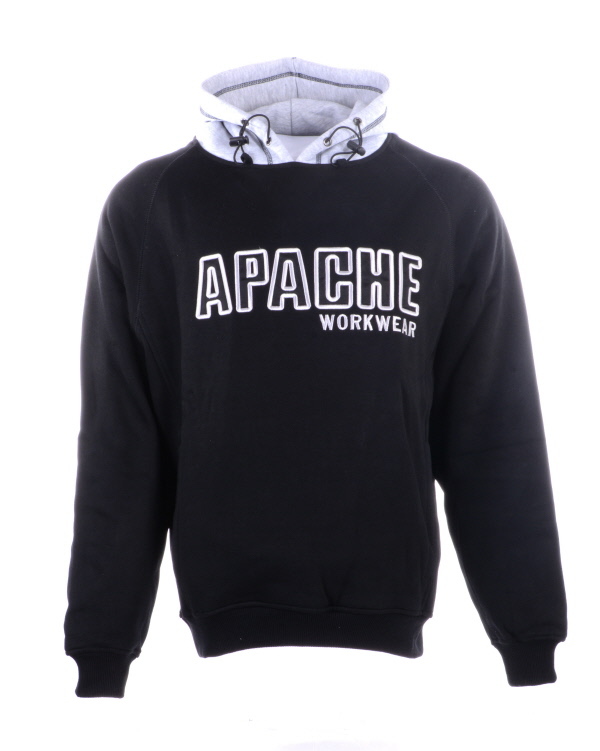 Buying another :)"